As nothing is more difficult to predict than the future, the predictive power of any analysis has to be based on past performance. The story of psychoanalysis in post-war Germany may be characterized as a process of slow but steady infiltration into the medical system. The Austrian development bypasses this step by establishing psychotherapy as a profession of its own in which psychoanalytic approaches also find their homes. A recent critical sociological study on the ‘civilized psychoanalysis’ (Bruns 1994) identifies three ways in which psychoanalysis became domesticized by mechanisms of power that were inherent in the Western democratic societies. One of them lies in the relative success of the psychoanalytic treatment paradigm that we have described for Germany and Austria. It certainly is true that the establishment of a healing profession with secure income tends to mitigate the fervour of its protagonists to analyze critically that society that pays their fees. Even those critics who like to follow Parin and Parin-Matthey’s (1983) complaint of medicocentrism in psychoanalysis as a rule do not give up seeing patients from the general insurance payment system. The exemption are those analysts like Parin working at the gold coast at the Zürich lake who are in a position to reserve psychoanalysis for private patients, thus retaining a non-medical stance. The real problem of this controversy lies in the question of whether one wants to take seriously the challenge that psychoanalysis started out as an enterprise for private affluent people and, like other fortune-dependent cultural activities, it should be satisfied with this state of affairs. Anyone deploring the process of medicalization in Germany and Austria should be aware of this implication. Other people like to criticize the deplorable negligence of one of the shibboleths of psychoanalysis, of the ‘Kulturtheorie’ (Nedelmann 1982). Once, besides being a clinical theory, psychoanalysis also started out to become a theory that critically analyzed the process of civilization. Now it has become part of that civilization and thus more and more unable to reflect upon itself. This process has been installed by the psychoanalytic groups themselves, as Bruns (1994) points out. Whether this process has to do with the failure of different generations to maintain the spirit of its founder or whether the spirit of its founder has lost its magic power is an open question. From Freud’s two basic conceptions, the drives and the unconscious, it seems to us that the drive theory has lost its teeth—quite on the contrary to the other, the unconscious, that still remains in the center of any enterprise that calls itself psychoanalytic. It may be that the concept of the unconscious has turned out to be much more powerful in its reach for many phenomena, be it clinical or cultural. 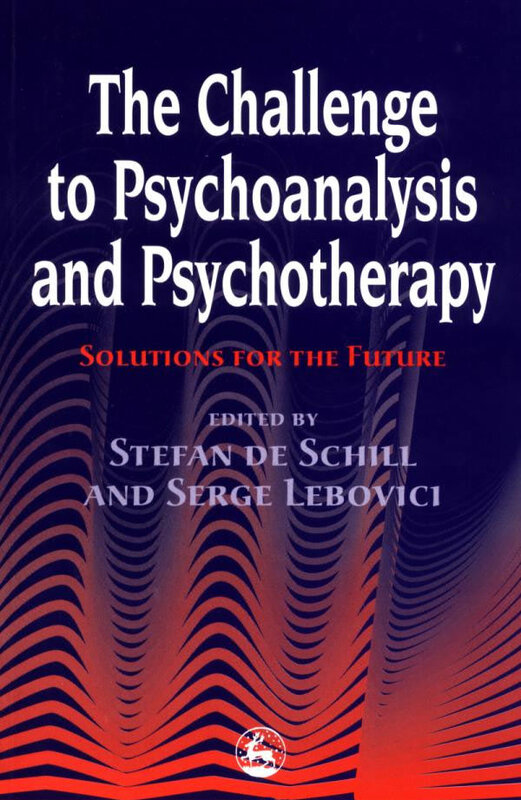 Therefore, we take the view that the development of psychoanalysis as a scientific enterprise has been largely hampered by the situation in the psychoanalytic institutes (Thomä and Kachele 1987). Psychoanalytic institutions have failed to maintain the inseparable bond between therapy and research. Freud’s legacy is passed on principally via the training of therapists, without any appreciable degree of systematic research or treatment in outpatient clinics as foreseen in Freud’s model of how a psychoanalytic institute should function. Stagnation was thus built in, but was initially disguised by the unexpected expansion of psychoanalysis in the USA after the Second World War. The social acceptance of psychoanalysis motivated many young doctors to train as analysts. New training centers sprang up. Psychoanalytic concepts formed the basis of dynamic psychotherapy and psychiatry. At first glance, therefore, it would seem obvious that the oft-bemoaned stagnation is due to ‘medical orthodoxy’ (Eissler 1965) or to ‘medicocentric’ training (Parin and Parin-Matthey 1983). On closer examination, however, this lightning diagnosis turns out to be merely a description of the symptoms, which, moreover, is based on the rather narrow conception of medicocentrism. It is more accurate to say that the goal of training has the same standardizing effect all over the world. Even in countries where training is open to laymen (including non-medical academics), the institutions turn out psychoanalytic therapists. Specialization in the standard technique equips them to treat patients who are suitable for it. It is an incontestable fact that almost all non-medical psychoanalysts give up their previous profession; very few remain active in, or conduct interdisciplinary research from, their original academic discipline. Thus it is the goal of training that imposes restriction and orthodoxy, which is unfairly tagged ‘medical’. In all other areas of medicine basic research is encouraged, but the emphasis on practice in psychoanalytic training is labeled ‘medicocentrist’. In the endeavor to treat the ill person adequately as a whole, medicine must draw on all sciences which could help to investigate, relieve and cure human suffering. In this sense, the psychoanalytic method is one of many servants and its master is not a specialist discipline but rather the patient. More than the established disciplines, psychoanalysis has had (and still has) to fight for its right to determine its scope of activity and research and to work accordingly for the good of patients and society. Psychoanalysis long remained one of the lesser servants and Freud had to struggle to prevent it from being subordinated to a master, namely psychiatry. This hampered its practical and scientific development. Eissler (1965) welcomed the separation of psychoanalytic institutions from faculties of medicine and from universities, but this partition was one of the causes of the medical orthodoxy he bemoaned. Orthodox attitudes would have had no chance of surviving in scientific medicine for long. Of course, for good reason, psychoanalysis has always been medico centric in the sense that therapeutic practice is its foundation, and the birthplace, of its theory of culture. Scientific investigation, in particular, demonstrates the interdisciplinary position of psychoanalysis and its dependence on exchange with the neighboring sciences. Psychoanalytic approaches can be applied productively in the humanities. However, all interdisciplinary co-operation also leads to relativization of the global claims made on behalf of psychoanalysis, whether as psychology or as theory of culture. In every psychoanalytic institute or university where research groups have been formed in recent decades ideologies of all sorts have been undermined (Cooper 1984; Thomä 1983). From these arguments we would predict that the development of psychoanalysis in Germany has a fair chance to utilize fruitfully the diversity of its institutionalization. Analysts working both in university departments and in psychoanalytic institutes care for a close collaboration; their roles are complementary and it is not always easy to reconcile the different tasks. However, the recent intellectual history of psychoanalysis has underlined the critical potential of those people working not only in private settings but also holding a job in public medical or psychological settings. Psychoanalysis in Germany will be in a position to utilize its academic potential, to engage in the deploringly lacking research on long-term treatments (Bachrach et al. 1991; Kachele and Kordy 1993; Kächele and Thomä 1994) or to expand the necessary involvement in basic research (Dahl et al. 1988; Kachele, Ehlers and Holzer 1991). There they are faced with the new theoretical developments in emotion theory (Krause and Lütolf 1988; Krause et al. 1992). With the challenge of the rise of cognitive science (Leuzinger-Bohleber et al. 1992), they have to face the manifold issues of theoretical deconstruction and reconstruction (Carveth 1984; Thomä and Kächele 1987). Psychoanalysts in Germany working most often as therapists, supervisors and teachers in the diverse clinical settings will be enriched by the large opportunities to discover new phenomenologies. Working as analysts in the world of inpatient treatment facilities has taken up one of the very first psychoanalytic traditions of providing treatment for those that would not benefit in a private practice (Schmitt et al. 1993). This also prevents the use of an overly-restricted definition of what is psychoanalysis. The true strength of psychoanalysis resides in its umbrella character, in its widened scope of application, without losing sight of its home, the psychoanalytic situation. Our optimism is grounded in the still vivid spirit of young analysts who come to psychoanalysis as an expression of a counter-culture. Mitscherlich (1966, 1967) and many others in the immediate post-war period, with the help of many psychoanalytic colleagues from abroad, re-created psychoanalysis as an engaged science that would use the tools of psychoanalytic work to better understand humans and their suffering using Freud’s theories within medicine. To us this is an achievement we should continue to strive and work for. Adorno, T.W. (1952) ‘Zum Verhältnis von Psychoanalyse und Gesellschaftstheorie’. Psyche, 6, 1-18. Bachrach, H., Galatzer-Levy, R. et al. (1991) ‘On the efficacy of psychoanalysis’. Journal of American Psychoanalytic Association, 39(4), 871-916. Bruns, G. (1994) ‘Zivilisierte Psychoanalyse? soziologische Bemerkungen zu Selbstbehauptung und Anpassungsproblem’. Zeitschr flir psychoanalyse Theorie und Praxis, 9, 135-155. Caruso, 1. (1952) ‘Psychoanalyse und synthese der existenz’. Wien. Carveth, D.L. (1984) ‘The analyst’s metaphors. A deconstructionist perspective’. Psychoanal. Contemp. Thought, 7, 491-560.
Cooper, A.M. (1984) ‘Columbia center celebrates 40th anniversary’. American Psychoanalytic Association Newsletter, 18(4), 10-15. Dahl, H., Kachele, H. et al., (eds) (1988) Psychoanalytic Process Research Strategies. Berlin: Springer. Drager, K. (1971) ‘Bemerkungen zu dem Zeitumstanden und zum Schicksal der Psychoanalyse und der Psychotherapie in Deutschland zwischen 1933 und 1949’. Psyche, 25, 255-268. Eissler, K. (1965) Medical Orthodoxy and the Future of Psychoanalysis. New York: International University Press. Ermann, M. (1985) ‘Editorial.’ Forum Psychoanal., 1, 1-3. Faber, F.R. (1981) ‘Der Krankheitsbegriffin der Reichsversicherungsordnung’. Psychother. Med. Psychol., 31, 179-182. Faber, F.R. and Haarstrick, R. (1994) ‘Kommentar Psychotherapie-Richtlinien’. Neckarsulm-München, jungjohann Verlagsgesellschaft. Freud, A. (1954) ‘The widening scope of indications for psychoanalysis. Discussion’ .Journal of the American Psychoanalysis Association 2, 607-620. Freud, S. (1923) ‘Psychoanalyse’ und ‘Libidotheorie’. GW Bd, 13, S 209-233. Grawe, K., Donati, R., Bernauer, F. (1993) Psychotherapie im Wandel: Von der Konfession zur Profession. Göttingen: Hogrefe. Habermas, J. (1971) Knowledge and Human Interest. Boston: Beacon. Kächele, H. (1991). Lehranalyse in der DPV im Aufirag der Deutschen Psychoanalytischen Vereinigung (nicht offentlich). Kächele, H., Döring, P., Waldvogel, B., (eds) (1993). ‘Psyche: Zeitschrift flir Psychoanalyse und ihre Anwendungen’. Gesamtregister der jahrgiinge 1947 bis 1992 (1-46). Stuttgart: Klett-Cotta. Kächele, H., Ehlers, W., Holzer, M. (1991) ‘Experiment und Empirie in der Psychoanalyse’. perspektiven der Psychiatrie. Forschung-Diagnostik- Therapie. Stuttgart: Gustav Fischer. Kächele, H. and Kordy, H. (1992) ‘Psychotherapieforschung und therapeutische Versorgung’. Der Nervenarzt, 63, 517-526. Kächele, H. and Kordy, H. (1993) ‘Effektivitat und Effizienz von hochfrequenten Langzeittherapien’. Forschungsstelle flir Psychotherapie Stuttgart. Kächele, H. and Thomä, H. (1994) ‘Psychoanalytic process research: Methods and achievements’. Journal of the American Psychoanalysis Association. Klerman, G.K., Weissman, M.M. et al. (1984) Interpersonal Psychotherapy of Depression. New York: Basic Books. Krause, R. and Lütolf, P. (1988) Facial Indicators of Transference Processes within Psychoanalytic Treatment. Psychoanalytic Process Research Strategies. Berlin, Heidelberg, New York, London, Paris, Tokyo: Springer. Krause, R., Steimer-Krause, E. et al. (1992) Use of Afflict Research in Dynamic Psychotherapy. ‘Two Butterflies on my Head . . .’ Psychoanalysis in the Interdisciplinary Dialogue. Berlin: Springer-Verlag. Lachauer, R., Neun, H. et al. (1991) Psychosomatische Einrichtungen in Deutschland—eine Bestandsaufnahme. Göttingen: Verlag flir Medizinische Psychologie. Lorenzer, A. (1970) Sprachzerstrung und Rekonstruktion. Vorarbeiten zu einer Metatheorie der Psychoanalyse. Frankfurt am Main: Suhrkamp. Lorenzer, A. (1974) Die Wahrheit der Psychoanalytischen Erkenntnis. Ein Historisch-Materialistischer Entwurf Frankfurt am Main: Suhrkamp. Lorenzer, A. (1986) Tiefenhermeneutische Kulturanalyse. Kultur-Analysen. psychoanalytische Studien zur Kultur. Frankfurt am Main: Fischer. Leuzinger-Bohleber, M., Schneider, H. et al., (ed) (1992) ‘Two Butterflies on My Head … ‘ Psychoanalysis in the Interdisciplinary Dialogue. Berlin: Springer-Verlag. Marquard, O. (1987) ‘Transzendenter Idealismus’. Romantische Naturphilosophie, Psychoanalyse. Köln: Verlag flir Philosophie. Meyer, A.E., Richter, R. et al. (1991) Forschungsgutachten zu Fragen eines Psychotherapeutengesetzes. Universitatskrankenhaus Hamburg-Eppendorf. Mitscherlich, A. (1966) Krankheit als Konflikt. Studien zur Psychosomatischen Medizin, Bd 1. Frankfurt am Main: Suhrkamp. Mitscherlich, A. (1967) Krankheit als Konflikt. Studien zur Psychosomatischen Medizin, 3d 2. Frankfurt am Main: Suhrkamp. Nedelmann, C. (1982) ‘Zur Vernachlassigung der psychoanalyrischen Kulturtheorie’. Psyche, 36, 385-400. Parin, P. and Parin-Matthey, G. (1983) Medicozentrismus in der Psychoanalyse. Eine Notwendige Revision der Neurosenlehre und ihre Relevanz fir die Theorie der Behandlungstechnik. Deutung und Beziehung. Kritische Beitrdge zur Behandlungskonzeption und Technik in der Psychoanalyse. Frankfurt am Main: Fischer. Sbandi, P., Richter, R. et al. (1993) Beschreibung und Bwertungen von Evaluationsmethoden im Bereich der Psychotherapie. Wien: Bundesministerium für Wissenschaft und Forschung. Schepank, H. (1988) ‘Die stationare Psychotherapie in der Bundesrepublik Deutschland: Soziokulturelle Determinanten, Entwicklungsstufen, Ist-Zustand, internationaler Vergleich, Rahmenbedingungen’. In: Schepank H., Tress, W. (Hrsg) Die Stationdre Psychotherapie und ihr Rahmen. Berlin: Springer. Schmitt, G., Seifert, T., Kachele, H. (eds) (1993) Stationdre Analytische Psychotherapie. Stuttgart: Schattauer Verlag. Schultz-Hencke, H. (1951) Lehrbuch der Analytischen Psychotherapie. Stuttgart: Thieme. Thoma, H. (1963) ‘Die Neo-Psychoanalyse Schultz-Henckes. Eine historische und kritische Betrachtung’. Psyche, 17,44-128. Thomä, H. (1969) ‘Some remarks on psychoanalysis in Germany, past and present’. International Journal Psychoanalysis, 50, 683-692. Thomä, H. (1983) ‘The position of psychoanalysis within and outside the German university. Psychoanalysis in Europe’. Bulletin of the European Psychoanalytical Federation, 20-21, 181-199. Thomä, H. and Kächele, H. (1987) Psychoanalytic Practice. Vol. 1: Principles. Berlin, Heidelberg, New York, London, Paris, Tokyo: Springer. Thomä, H. and Kächele, H. (1992) Psychoanalytic Practice. Vol. 2: Clinical Studies. Berlin, Heidelberg, New York, Paris, London: Springer. Uexküll, Th. von (1963) Grundfragen der psychosomatischen Medizin. Hamburg: Rowohlt. Uexküll, Th. von (Hrg) (1994) Psychosomatische Medizin, 5. Aufl., München, Wien, Baltimore: Urban & Schwarzenberg. Weizsäcker, V. von (1935) Studien zur Pathogenese. Leipzig: Thieme.